After Sonos made a less than stellar showing this past Black Friday and Cyber Monday, we were starting to wonder when the next big sale might be. Thankfully, we didn’t have to wait long. Sonos just kicked off a huge sale ahead of Super Bowl 53, so this is your chance to save big and make sure that you have the best possible sound quality while you watch the big game in a couple of weeks. This time around, Sonos is offering some of the best discounts we’ve seen in years. In fact, several of them are much better than anything we saw from the smart speaker maker last year. 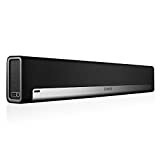 For a limited time only you can save $100 on the Sonos PlayBar TV Sound Bar or the Sonos PlayBase. 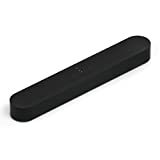 The compact Sonos Beam Sound Bar with Alexa is also on sale at a $50 discount, and the Sonos SUB is $100 off during the sale. Last but certainly not least if you want surround sound, Amazon’s secret sale is still going, so you can get two Sonos Play:1 speakers for just $298, and that comes with a free $30 Amazon gift card! Display it or hide it. 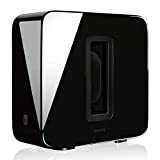 This slim Subwoofer sounds great standing up or on it’s side. You can even place it under a couch. Available in black or white.